產品上架時間 2015 四月 02 週四. 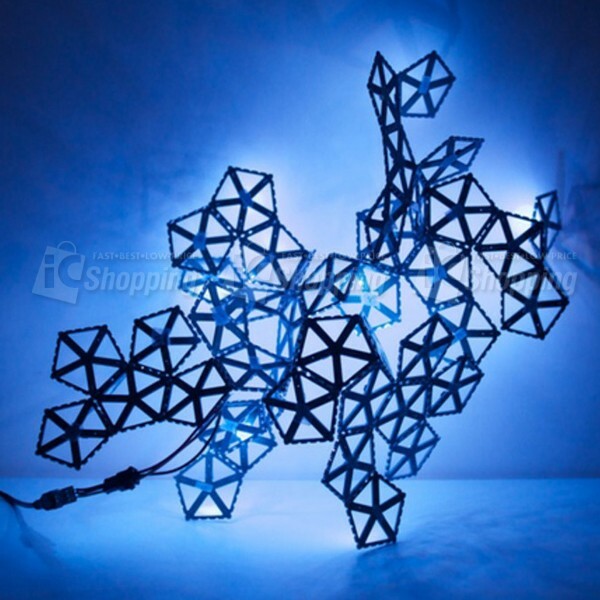 Our friends at Blinkinlabs are at it again with the BlinkyTile Light Sculpture Kit! 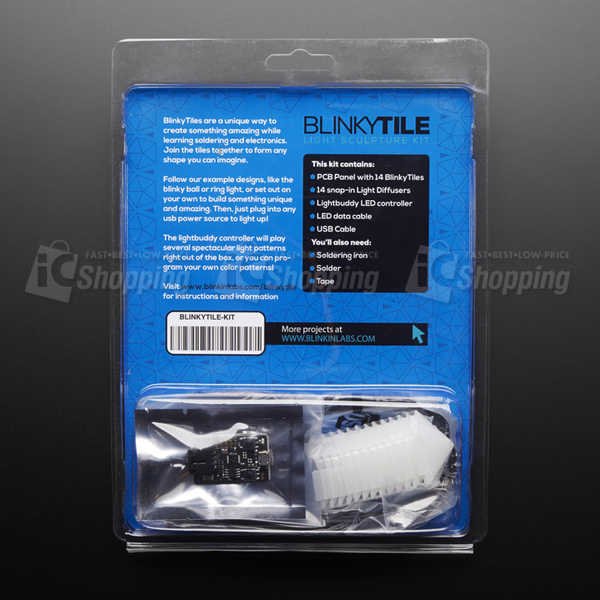 Each BlinkyTile has one individually controllable, multi-color LED, and the solder pads form both the physical and electrical connections between the lights. They can be soldered together to form any shape you can imagine. Each set of BlinkyTiles comes with a controller programmed with several special light animation modes to make your project look awesome. But it's not a one-trick pony: this controller will also connect to pattern editor software that allows you to easily make your own animations in a simple drawing program. 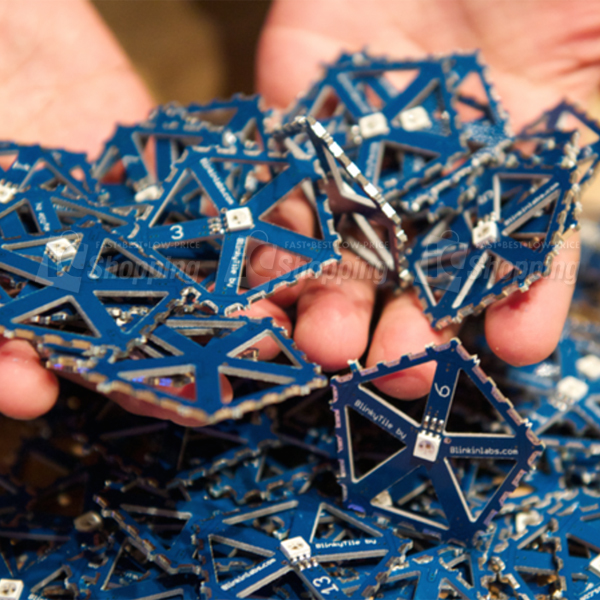 Their software will even let you create sound-reactive sculptures! RGB LEDs out the wazoo! 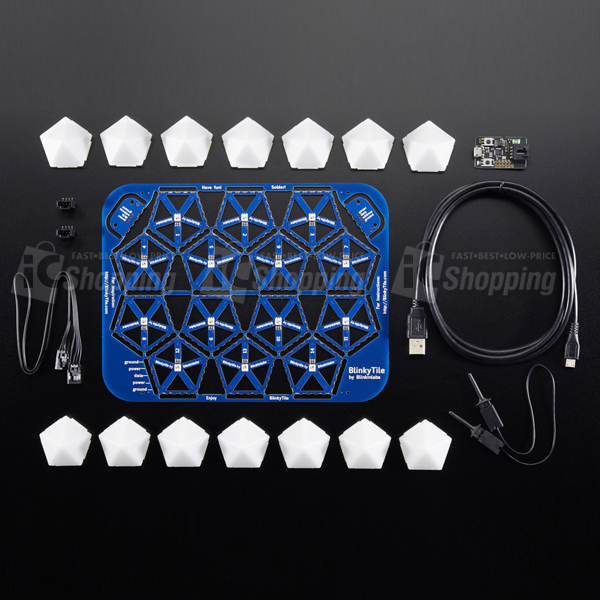 This kit does NOT include a soldering iron, solder, nor tape, but check out our soldering section of the store if you need anything! 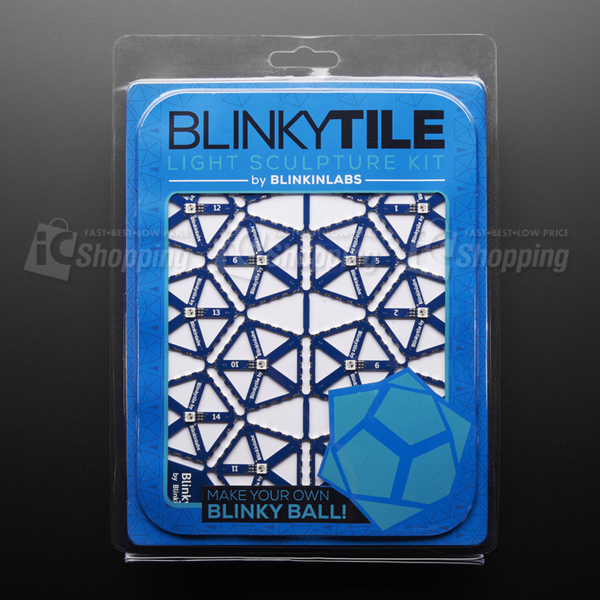 Dimensions (of one BlinkyTile): 50mm x 47mm x 3mm / 2" x 1.9" x 0.1"